Introducing Ruby Chocolate! Hailed as the fourth flavour, this naturally pink-hued chocolate is the result of a new variety of cocoa bean, which has been developed for its delightful colour & unique taste. 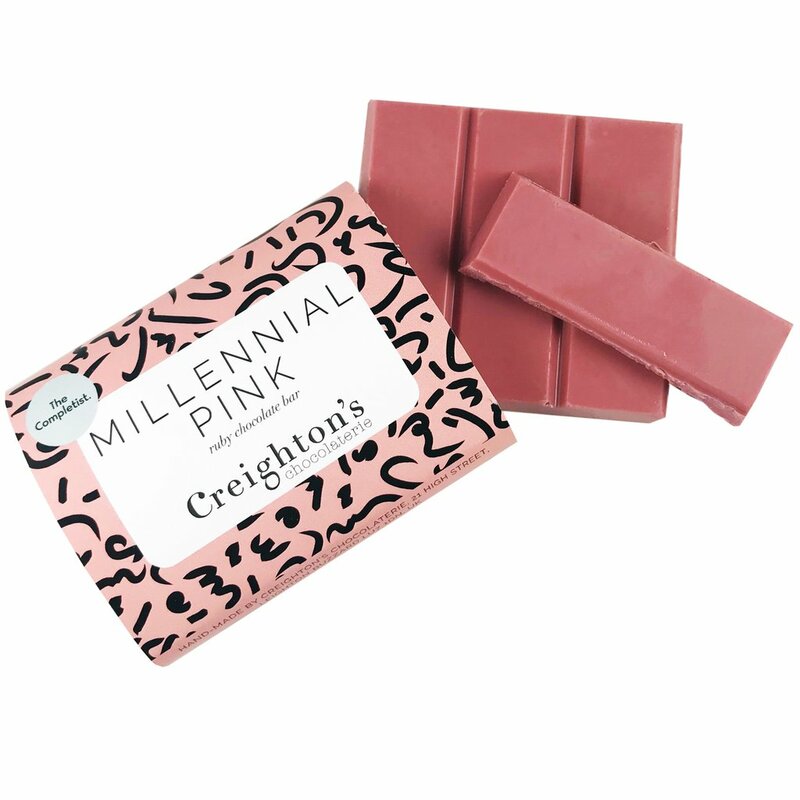 The Millennial Pink Chocolate Bar. Similar to white chocolate, this bar is sweet and creamy with tones of yoghurt and red berries. We are one of the first chocolate brands to have this very special new bar, so try one today! Allergen info: contains soya & dairy. May contain nut & peanut traces. Vegetarian. 50g. 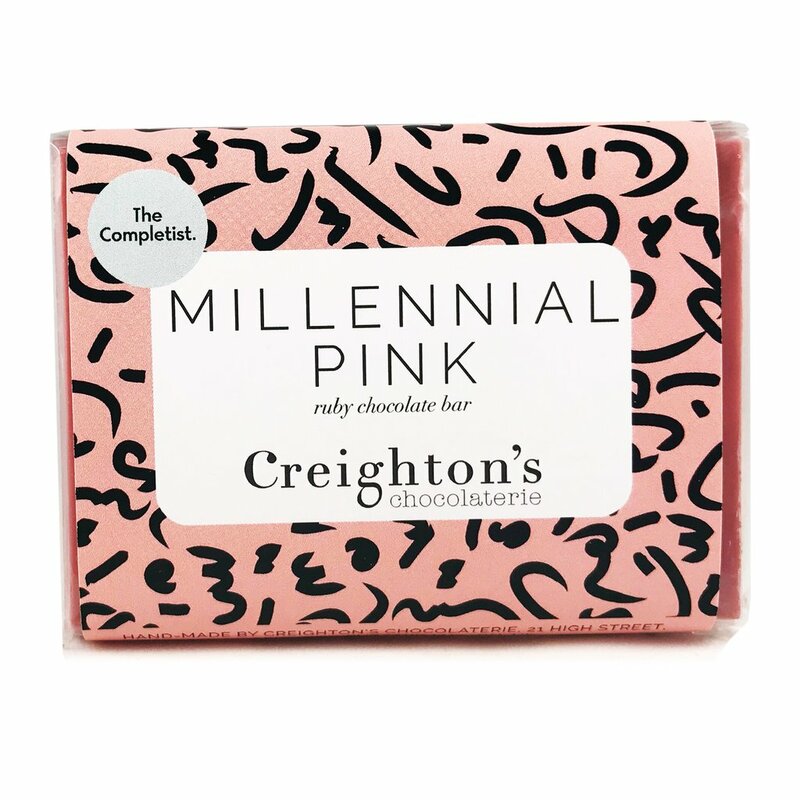 We have more great bars in stock from Creighton’s. Check out the Sugar-Free bar here!